In this magazine, we hope to not only make you hungry, but also educate you about the amazing culinary adventures you can experience so close to home. 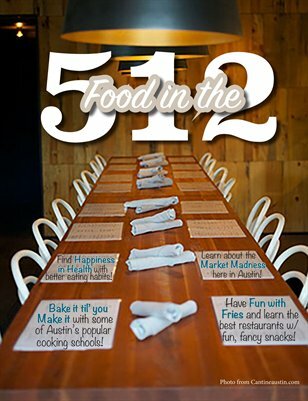 From Austenite to Austinite, we really hope you enjoy the magazine. We put our heart, soul, and most importantly: our stomach into each and every story you’ll read.